Last year, conflict and violence displaced more than 68 million people, and half of those were children. 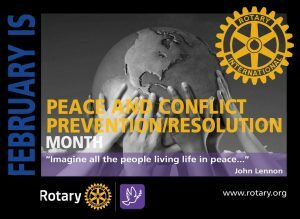 Rotarians do not think this has to be the norm, which is why one of the six areas of focus of Rotary is peace and conflict resolution and prevention. If you look around, the conflicts that occur throughout the world that are the root causes of poverty, despair, economic hardship and poor health. As we continue the quest to eradicate polio, you can see that the only remaining countries where polio exists are war torn countries. It is very difficult to vaccinate the children while a war is taking place. Through service projects, peace fellowships and scholarships, Rotarians are taking action to address the underlying causes of conflicts, including poverty, inequality, ethnic tension, lack of access to education and unequal distribution of resources. Two examples of Rotary helping others come to mind. Rotary’s People for People Foundation has helped thousands of families afford food, clothing, rent utilities, medications and other necessities. Rotaract clubs haven taken the lead in conducting antibullying campaigns in schools to teach children how to handle conflict peacefully from an early age. 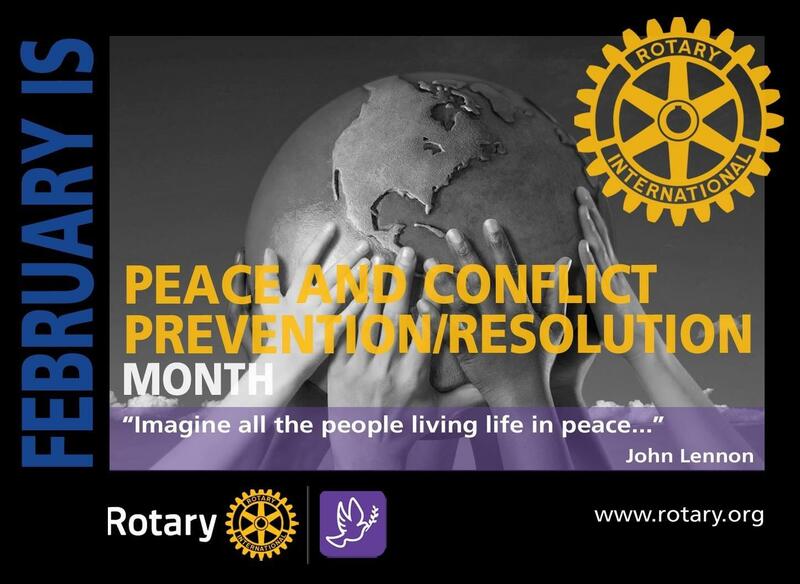 If you want to learn more or become more engaged today, I encourage you to join the Rotary Action Group for Peace. It is a wonderful resource where you can learn about resources and support available world-wide to promote peace and turn ideas into life-changing realities.